In our modern world, sewing is one of those skills that we are failing to teach our young. Only 100 years ago, a child who could not thread a needle would be an oddity. Today, many skills (like sewing), that were traditionally passed down through the generations at home, have fallen to the wayside. But that chain of knowledge does not need to stay broken. Expensive formal classes at a big chain craft store are not the only answer. 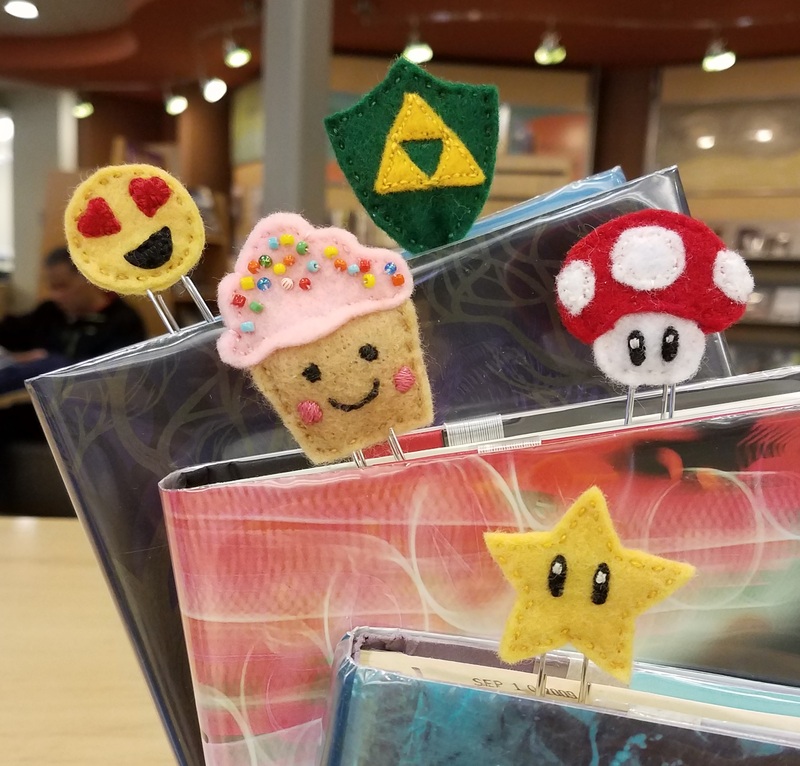 The monthly Sewing and FIbers Arts Studio night right here at the library is a great way to explore these skills in a relaxed environment. You can come and go anytime between 5:30 p.m. and 8:30 p.m. You do not need to bring anything but yourself (and possibly a friend). The studio is open to all people ages 10 and up. It is never too late to learn something new. If you can hold a pencil and print halfway ledgible text, then you can sew! Sewing is useful and it can save you lots of money. In the most basic way, knowing how to make simple repairs such as mending seams and replacing buttons can save garments that would otherwise be thrown away. 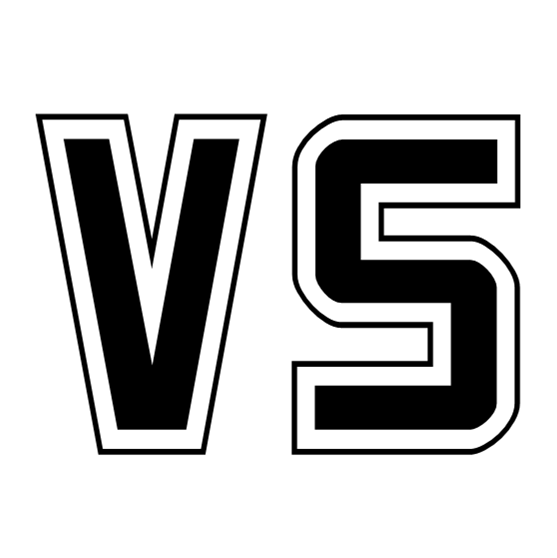 And to step that up, being able to make simple alterations to store bought garments is right next to tailor made garments, which are out of the average persons' budget. Sewing is also an environmental act. Wait... "WHAT?" That's right! All those sleek, stretchy synthetic clothes that we (as a society) buy and throw out at an alarming rate (because they wear out quickly) are not biodegradable. Sythetic fiber pollution is a real thing. Practicality aside, it is relatively easy to make fun accessories. 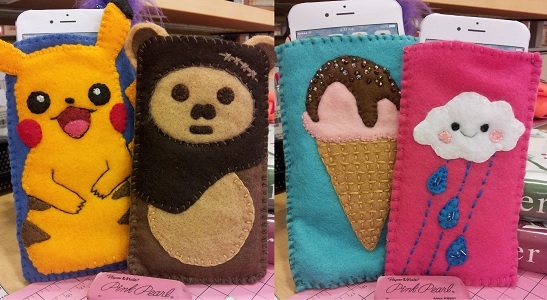 And who doesn't want a cute phone or tablet cozy? When you make it yourself, the design options are limitless. And what the heck is Fiber Art? The simple answer is, anything that you can make with fibers (string, yarn, ect.). That includes knitting, crochet, weaving, knotting, and macrame. Simple knit and crochet projects can include hats, scarves, dishcloths, small toys and animals. Friendship bracelets are a form of macrame and I recently saw a basket of them on the checkout counter at Michaels. I was surprised. Who buys friendship bracelets? The whole point is that you MAKE them for your friend. Have you admired boho chic wall hangings on etsy, but don't want to fork over the $$$? 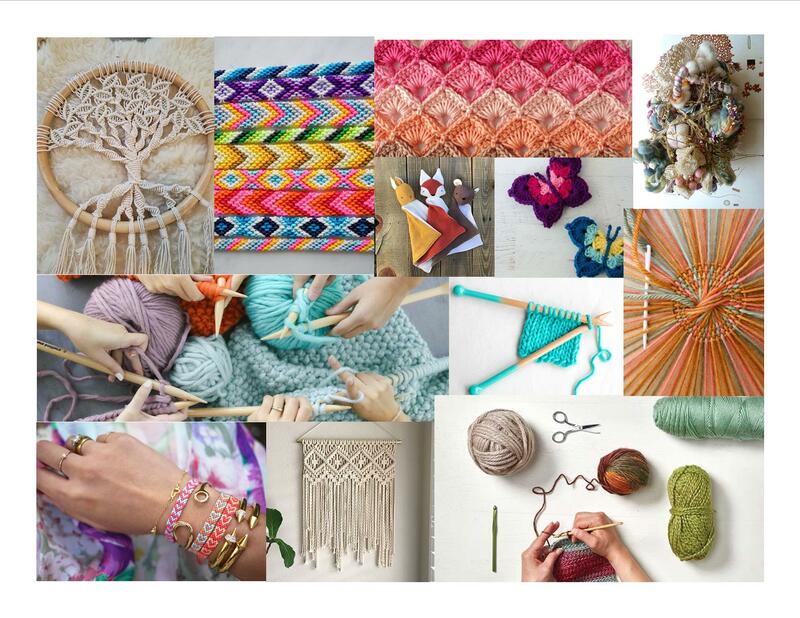 Macrame didn't die in the 70's, we've got plenty of current macrame books in our catalog. Sewing is fun and relaxing. You don't have to take my word for it though, search Google using "sewing mental health" and you will get about 2.5 million results. Another benefit learning sewing or fiber arts (beyond the pleasure), is that you end up with a bunch of cool projects which you can enjoy using or give as gifts. 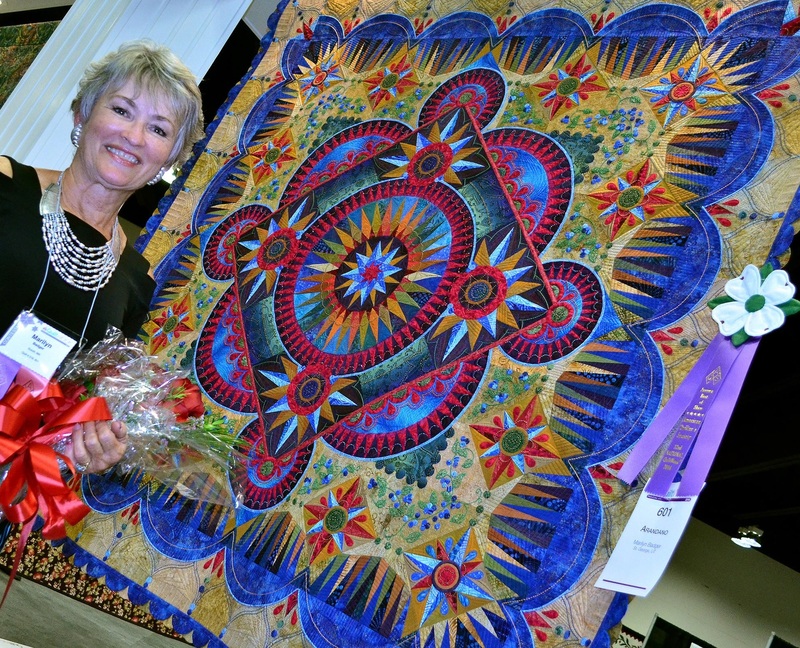 Starting a sewing project doesn't have to be as daunting as outdoing your great grandmothers' prize winning quilt. It can be something as simple as making a cute felt bookmark, that you can start and finish in 30 minutes. Personally, I love to sew while listening to an audio book. Some people like to crochet or knit while watching TV. Trying to give up an unhealthy habit? Crafting can keep your hands busy and your mind focused on something positive.